An ambitious journey into the soul of elite motor racing, Grand Prix finds the heartbeat of Formula 1 deep within the majesty of the roaring machinery. Four drivers are among the front runners for the 1966 Formula 1 title. American Pete Aron (James Garner) of the BRM team (and formerly with Ferrari) is fast but prone to mistakes. At the Monaco race, Aron's refusal to give way causes a serious collision with his teammate Englishman Scott Stoddard (Brian Bedford). 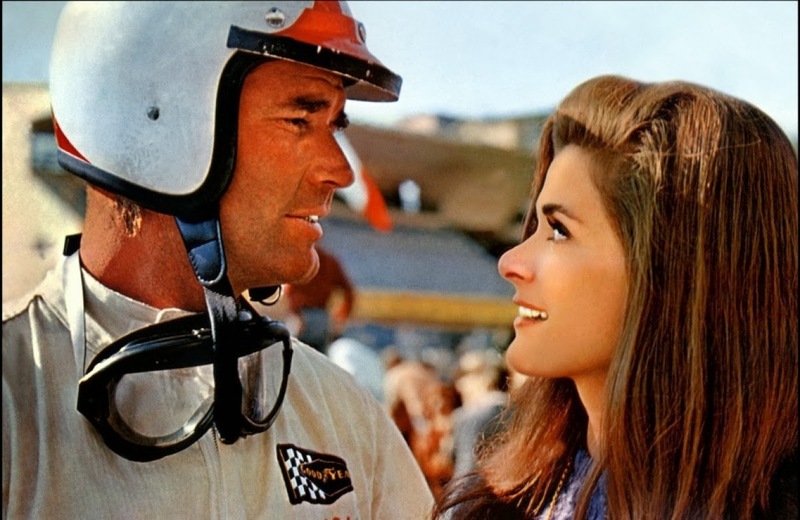 Stoddard, who races in the shadow of his deceased brother, is injured and misses several races, His headstrong wife Pat (Jessica Walter) is fed-up with loving a man living on the edge and leaves him while he is still in hospital. Meanwhile, Aron is fired from the BRM team for reckless driving. The Ferrari team are BRM's closest challengers. Veteran driver and two-time champion Frenchman Jean-Pierre Sarti (Yves Montand) is still the fastest man on most days, but he is starting to lose his motivation. Sarti is stuck in a loveless, distant marriage with businesswoman Monique (Genvieve Page), and starts a relationship with American journalist Louise (Eva Marie Saint). Sarti's team mate is young Italian Nino Barlini (Antonio Sabato), who lives the fast life on and off the track. Aron hooks up with Pat, is hired by the fledgling Yamura team financed by tycoon Izo Yamura (Toshiro Mifune), and finally finds his winning form. Stoddard returns to racing despite the pain of his injuries, and more determined than ever, goes on a winning streak. With Sarti and Barlini also picking up victories, all four men enter the final race of the season in the hunt for the coveted championship. 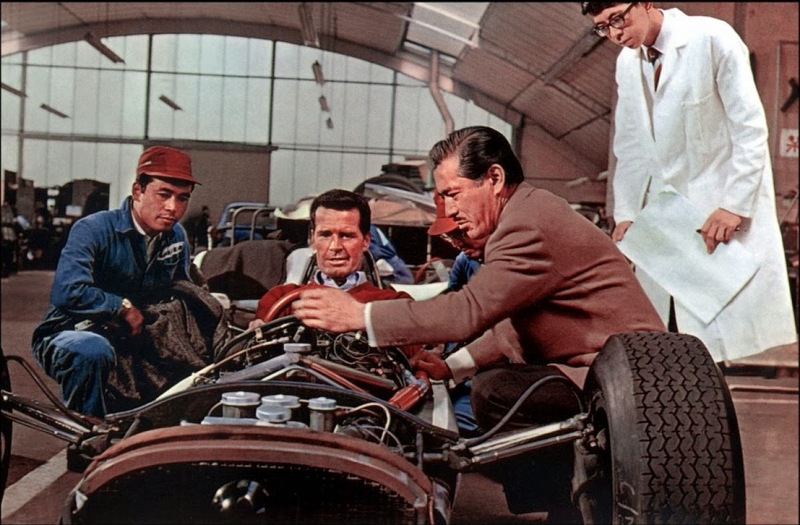 Director John Frankenheimer creates a three hour masterpiece that celebrates both the men and the machines involved in the international pinnacle of motor racing. Large segments of Grand Prix consist of racing action from races at the legendary street circuit of Monaco, the dangerously fast and incredibly scenic Spa in Belgium, Zandvoort in Holland, Clermont Ferrand in France, Silverstone in England and the final showdown at the imposing Monza in Italy, with its intimidating steeply banked corners. 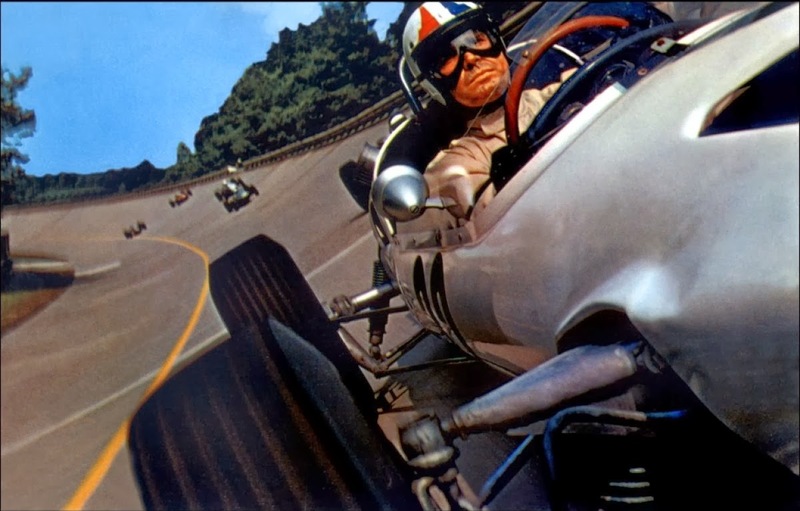 Other than playing with split-screen imagery, Frankenheimer uses no tricks, and just mounts his cameras at every possible angle on the cars, capturing the pure raw speed, incredible danger and classic beauty of racing in the mid 1960s. This was the era of rudimentary safety protocols, with drivers facing the risk of serious crashes, injury and death at every corner. The visuals are stunning, with the cars blasting at top speed past unprotected poles, trees, spectators and structures. Great as the racing sequences are, the Robert Alan Aurthur script goes looking for the lives and loves of the men inside the cars, and finds a cross-section of drivers at various career stages. The most prominent role goes to Montand as Jean-Pierre Sarti, the ex-champion who has won it all, and who has learned to close his heart to the agony of others as he drives even faster to take advantage of serious crashes on the track. Louise awakens in Sarti emotions that he had forgotten actually mattered, accelerating his demotivation from the sport, although he can't help being better than most other drivers anyway. James Garner as Pete Aron takes centre stage early in the film, a driver seemingly heading backwards in his career. Aron used to know how to win at Ferrari but is struggling at BRM, unsatisfied with the machinery and unable to cope with a faster teammate. Bounced out of the sport and rejected by Ferrari, Aron has nothing left to lose by joining the unproven Yamura, where he discovers an unlikely mentor to reignite his passion. Stoddard's story is the most compelling, the driven Englishman trying to live up to the legend of his brother, racing against a dead ghost rather than his modern competitors. Stoddard overcomes his injuries, the loss of Pat, and his own demons to make a winning return to the track, an encapsulation of the mental strength required to dance with death at every corner. Barlini is at the opposite end of the curve from Sarti, young, care-free and indestructible, enjoying the jet-setting single life with no second thoughts. The women of Formula 1 learn quickly not to care too much about what happens to their men. Monique is an absentee wife, living her own high-flying life and perceiving Sarti as one element in her business empire. Pat's reaction to Stoddard's crash is one of selfish detachment, and she abandons him in his hour of greatest need, jumping into the arms of Aron. Only Louise, a newcomer to the circus, falls into the dangerous territory of a serious and committed relationship with Sarti. 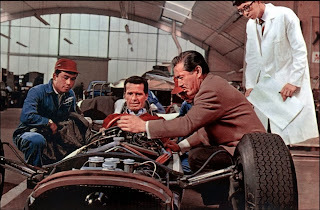 The Formula 1 world is rounded out with rich secondary characters played by Adolfo Celi as the Ferrari team boss, Mifune representing the new breed of Japanese industrialists bent on conquering the world with technology, and Jack Watson as the BRM team manager. 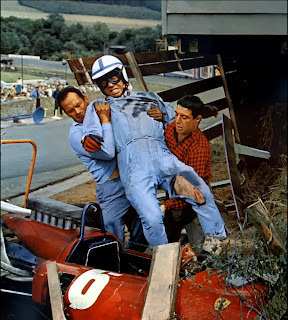 Frankenheimer finds the right balance between the racing scenes and character development, and as the season heads to a climax at the monstrous Monza, the four leading drivers all have reasons to win and plenty to lose. Grand Prix is an exhilarating celebration of the men addicted to the thrill of racing with an unknown destiny, speeding into magnificent madness.